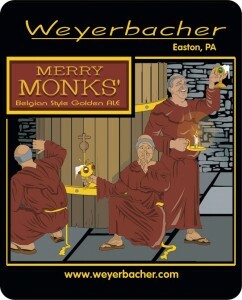 I noted a some time ago that Weyerbacher Brewing Co. in Easton, PA is undergoing a brand facelift. I noted that some time ago, because the rebrand has been going on for some time now. While many of the specifics are not yet ironed out, I was very interested in the process of a rebrand for a brewery as venerable as Weyerbacher, so Josh Lampe of SSM Creative sat down to talk with me about Weyerbacher, the challenges of rebranding, and consulting in the beer industry. I had been waiting for an unveil to have some things to pair with it, but as this interview is already a couple months old, it seemed time to get it up. For those unfamiliar with the brewery, they are an odd case: They specialize in big beers (Founder Dan Weirback considers 6% a session beer), with complex, interesting flavors that remain remarkably drinkable. Their best seller is their Belgian Tripel, followed by the Imperial Pumpkin Ale.. Their Imperial IPA is the Double Simcoe, maybe the piniest beer you can imagine. They have several barrel-aged beers in rotation, and are constantly experimenting with flavors, though "extreme" would be a tough word to apply to them because of the balance that marks so many of their beers. They have a tendency to tack into the wind, producing a braggot when the rest of craft beer is cranking out saisons, and producing a restrained, delightful Belgian Pale Ale (the Verboten) at the time when everyone was adding Belgian yeast to their hoppiest IPA. 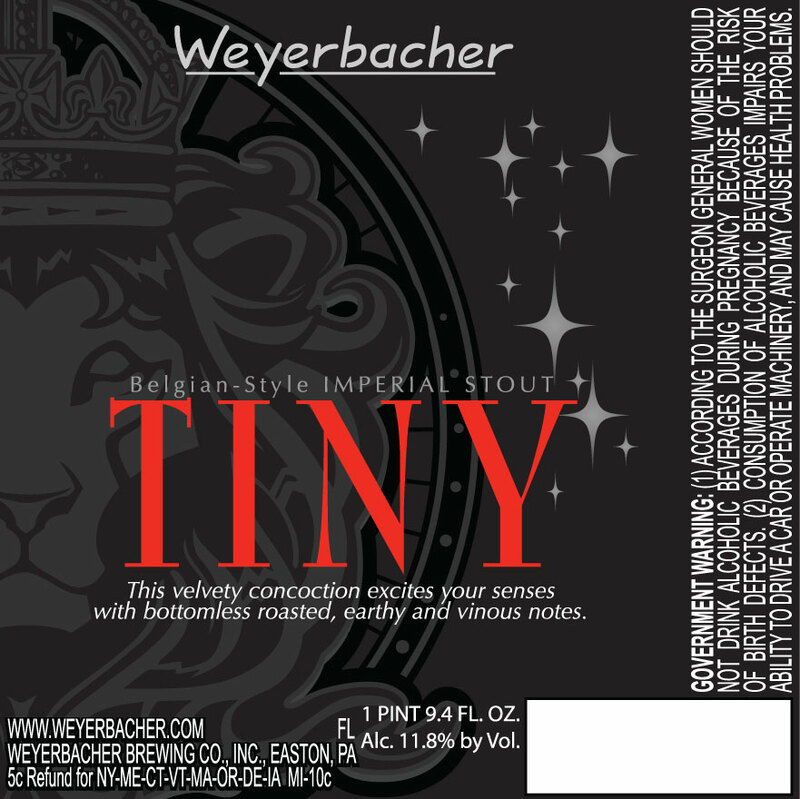 Perhaps most strangely for a brewery with the consistently high level of quality that Weyerbacher has, the brewery seems most beloved by those outside of its immediate environs. I've heard a number of theories on why that is, but everyone in the area seems to agree that Weyerbacher has more success outside of the Lehigh Valley (which, despite being the third-largest area in Pennyslvania and in the beer-crazy Philadelphia market, has only one other brewery right now) than they do in it. From a branding perspective, those qualities - which make the brewery such an interesting one to beer connoisseurs - are also serious challenges. It's an interesting time for Weyerbacher. 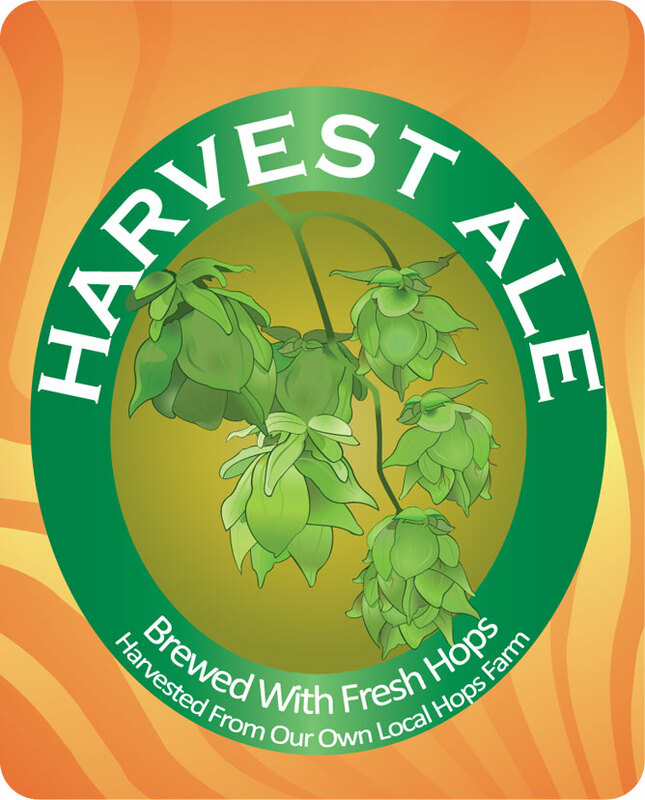 By craft beer standards, they've been around for a while, but they are entering a time of what could be great expansion. Lampe said that, like most startup breweries (certainly of that time), the focus for the early then-brewpub was on beer and running a restaurant, with less of an eye toward branding. "Dan had an idea of what the brand should be, but that never got fully formed." What's resulted over time is a brand with label design and art that - in this blogger's opinion - is usually good but ranges wildly from product to product. The Blithering Idiot has the Jester that has become a kind of logo for Weyerbacher. The design is nice and clean, if a bit dated, with a clear style. The Merry Monks is probably the closest thing they have to a flagship beer, but it is only a little similar stylistically to the Blithering Idiot. Then there's this, which is probably their strongest label to date, but again is tough to connect to an overarching brand. "There's not as much consistency as we would like," Lampe said. "[Our goal is that] Every time you see a Weyerbacher, you know it's a Weyerbacher." Lampe and company have spent the last several months defining the brand, interviewing brewery employees, and doing market research. They've identified key elements to the brand as: "Bold, inventive, groundbreaking"
"We want to have the artwork and brand itself be representative of that," Lampe said. "I don't think it's going to be anything like what you've seen yet." First, the obvious: There's a paring down here. We've lost those cartoonish faces and characters, and these are simpler, bolder, and unafraid to use negative space and asymmetry. The white-on-dark even gives it a feeling of almost imposing starkness, which again makes sense for the big, bold beers of Weyerbacher's limited releases. Both labels also give us a sense of trying to draw brand connections. The Idiot's Drool is a barrel-aged version of the Blithering Idiot, and the font has been lifted directly. The Rapture has an outline of what definitely looks like the jester, perhaps being whisked up in the rapture? Subtle references, but again we can garner an idea of where the creative minds are going. Lampe did say that there is unlikely to be a vast departure from the basic character of the brewery, which has a devoted following and established place in the beer scene. "The last thing we wanted to do is come out with something different and slick that turned people off," Lampe said. 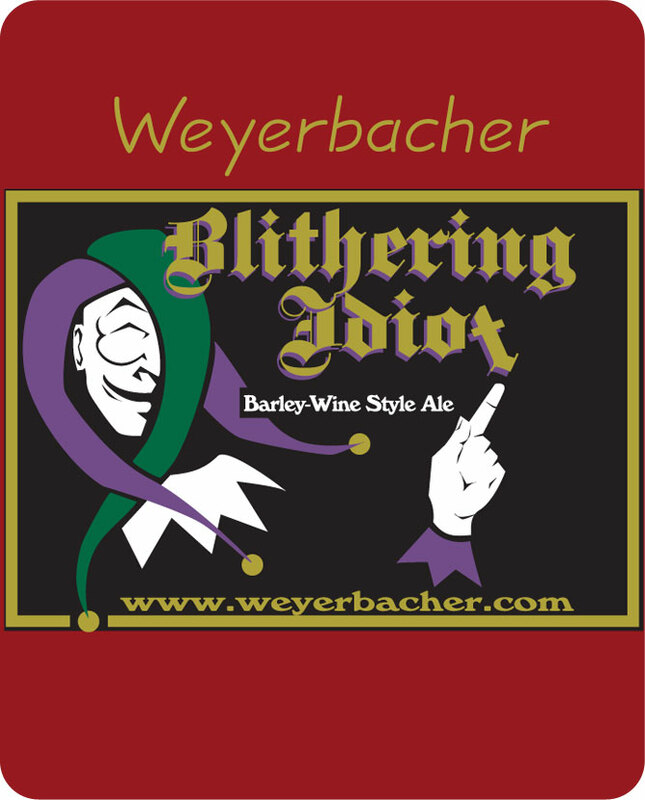 "People are really starting to perceive Weyerbacher locally as just the high quality it is." I just wish they'd get rid of that god-awful font they use for the logo. Might as well use Comic Sans. Agreed with Zac - I really hate their logo. If I remember correctly, that was going to be part of their redesign (I could be wrong about that), but they announced that many moons ago. I'm betting we won't see anything until next year? Well, regardless, I enjoy their beers quite a bit! 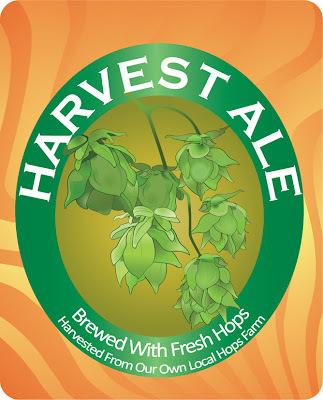 understand branding is important so your beer stands out on a shelf, and so your customers can easily find it. but i dont care if it has a 300lb guy in a bikini on it. whats inside is whats important to me.